Ever wonder what it would be like to live betwixt the pages a Pantone color book? Well now you can get a glimpse. 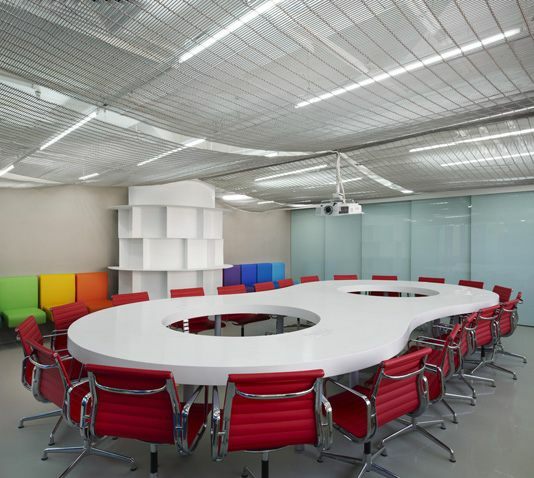 Sako Architect’s new Radial office in Beijing has left no PMS color ignored. 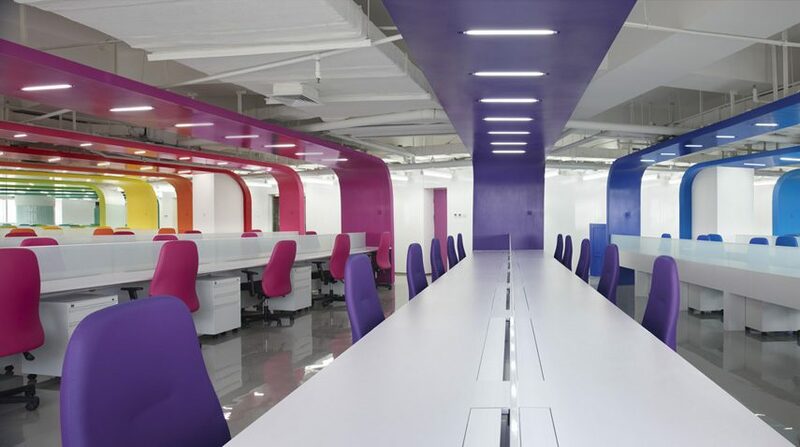 Slick, lacquered white surfaces meet bright pops of crimson, fuchsia and lime green in a striking contrasting stripes throughout the office space. Biomorphic, curvilinear seating undulates in waves, cascading down steps in a cornucopia of hues. Illuminated rings of light dangle playfully from the ceiling like fishing lures in an incandescent rainbow underworld. We're hooked.